Last year about this time, my parents started a small chicken operation (9 hens + 1 rooster at last count). Consequently, they keep me flush with the best eggs I’ve ever tasted. 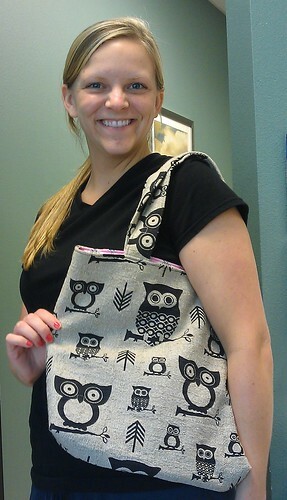 Plus my veggie peels and scraps go to a very good cause! I pinned this a couple of weeks ago, and I still have every intention of trying it as written. (I’ll report!) But this time, my overflowing stock of eggs led me in a different direction. This wasn’t much of a stretch for me since I already like to put avocado on my egg salad sandwiches, but this treatment makes it cohere better. Avocado slices are damn slippery and never stay in place. (Uh-oh, my neuroses are starting to show. #284: I like a well-behaved sandwich.) Moving on. This was quite a tasty concoction… The only downfall with the avocado as a mix-in is that it doesn’t keep. I’m sure I could have remedied that with some citrus, but that wasn’t the flavor I was shooting for. So make it then eat it. Shouldn’t be difficult. If you’d prefer the mix chilled, refrigerate the eggs and avocado before you chop them up. Gently stir together the eggs, avocado, and green onions. Mix in the mustard and mayo. It won’t need much mayo — I think I used about a scant tablespoon. Salt and pepper to taste. 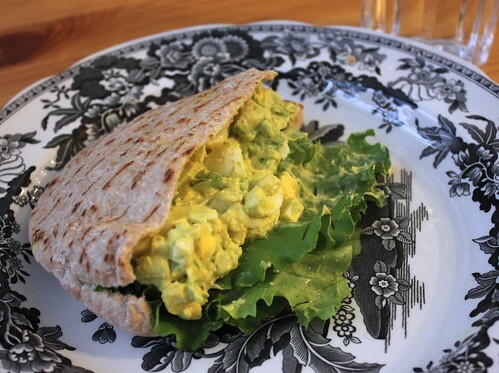 Made the egg-avocado salad by the recipe, even as pita filling…and it was super delicious! Thanks for one I will use often. I absolutely love egg salad and avocados but never thought to put them together. Will try it this weekend for sure!